Jason Lee Payton was born on November 22, 1972 in Zanesville, Ohio. The five foot right hand hitting outfielder was a star player in high school at Ohio. He attended Georgia Tech. University where he was teammates with future Red Sox players; Nomar Garciaparra and Jason Varitek. Payton was rated as an outfielder with a strong arm & good speed, In 1994 he was drafted by the New York Mets in the first round (the 29th pick overall). In 1995 he hit .345 at AA Binghamton, getting promoted to AAA Norfolk by the mid season. 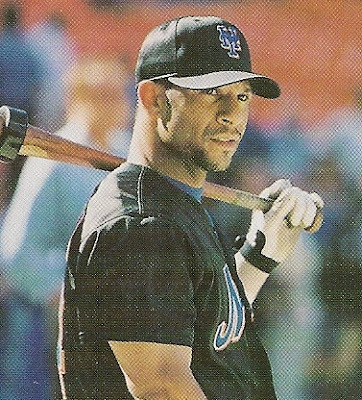 In 1996 he played with the Gulf Port Mets, St Lucie Mets, Binghamton Mets & the Norfolk Tides batting .307 overall. He missed all of the 2007 season due to injuries. In 1998 he went from St. Lucie to AAA Norfolk batting .261 & getting a September call up to the Mets. 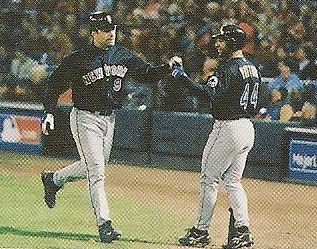 Payton debuted on September 1st 1998, coming the game to replace Tony Phillips in left field. Payton got two hits in his first two official at bats. That month he was impressive, batting .318 (7-22) with a walk & a double. 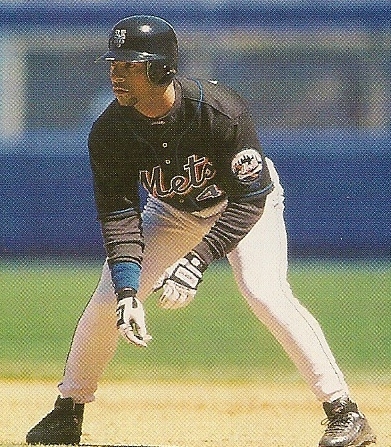 In 1999 he was at A ball St. Lucie for seven games before getting promoted to AAA Norfolk. There he hit .389 with 8 HRs in 38 games. He had another September call up appearing often as a pinch hitter, batting 250 but not making the post season roster. 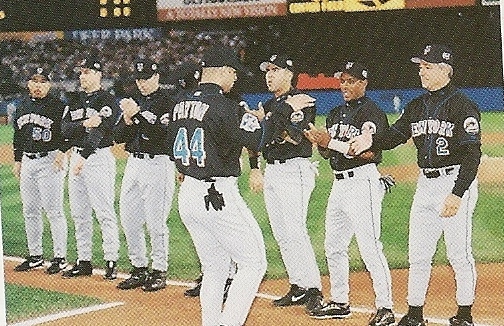 In 2000 Payton took over the vacated center field job, with Brian McRae, Rickey Henderson & Rodger Cedeno all gone. Payton was a rookie with a lot of expectations on him as well as the team. The New York fans would always want more from him, but looking back Payton had a pretty good rookie year. On Opening Day, he was in the lineup batting in the second position & playing left field as the season opened up in Japan in a game with the Mets & the Chicago Cubs. On April 8th he hit his first career HR & then hit another in his next game four games later. He found himself batting just .213 at the end of May as he only drove in three runs all month. Then he had a hot June, hitting safely in 20 of 23 games, raising his average over .300. He had a 12 game streak during the month reaching base in 17 straight games. In the first ten games of the month he hit four HRs, including an 8th inning shot breaking a 6-6 tie against the Baltimore Orioles on June 8th. That day he drove in three runs in the Mets 8-7 victory. In the month he hit six HRs & drove in 16 runs raising his average over the .300 mark. In July he had a ten game hit streak and then had his first four hit day in the midst of a six game hit streak in early August. On September 13th he hit a walk off three run HR in the 10th inning, off Milwaukee’s Juan Acevedo for the game winner. In mid September he hit HRs in back to back games with three RBIs in each. 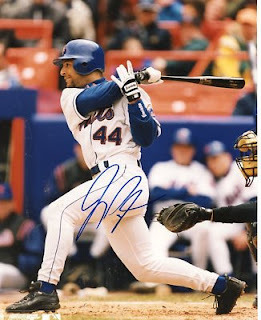 On September 13th his three RBIs lead the Mets to a 4-1 win over the Milwaukee Brewers at Shea Stadium. On September 29th he hit his first grand slam, it came off Montreal's Mike Thurman leading the Mets to an 11-2 win over the Expos. 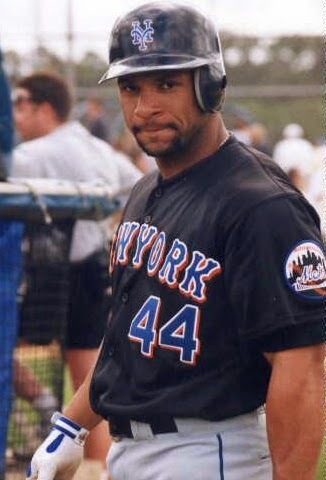 In the Mets 2000 NL Championship season, Payton came in third in the Rookie of the Year voting. He hit .291 with a .331 on base %, hitting 17 HRs 23 doubles & 62 RBIs in 149 games. In the outfield he made seven assists with a .981 fielding %. 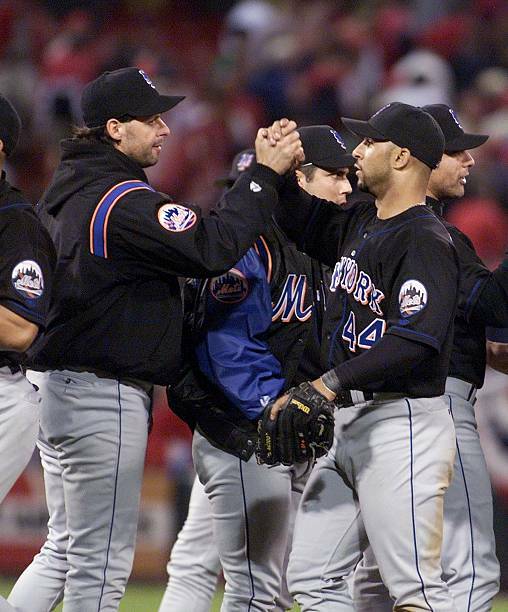 2000 Post Season: In Game #2 of the NLDS against the San Francisco Giants, the Mets entered the top of the 9th inning with a 4-1 lead. But Armondo Benitez blew the lead, serving up a three run HR to J.T. Snow sending the game to extra innings. In the top of the 10th, pinch hitter Daryl Hamilton doubled to center field. Payton then singled scoring Hamilton with what would be the games winning run. In the NLDS he went 3-18 (.176) with two RBIs. 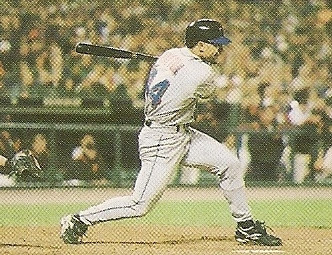 2000 NLCS: In the Game #1 of the NLCS against the St. Louis Cardinals, Payton hit a two run HR in the 9th inning in the Mets 6-2 win at Busch Stadium. In Game #2 Payton was the Mets hero, as he singled to center in the top of the 9th inning. The ball rolled off Jim Edmonds glove, allowing Joe McEwing to score, after he had entered the game as a pinch runner. Payton had his second 2000 post season game winning hit. He would only get one more hit the rest of the way, batting .158 overall. drama: In Game #5, he was in the middle of some big drama as Cardinal Pitcher Dave Veres hit him with a fastball near his left eye. The pitch knocked him down to the ground, but he shot back up immediately & charged the mound. Both benches cleared. 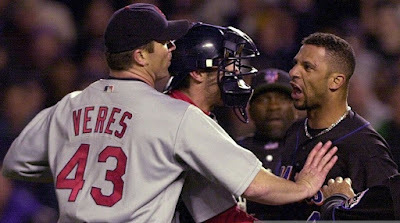 Payton was restrained by manager Bobby Valentine & Benny Agbayani, as order was soon restored. The Shea Stadium crowd (in which centerfieldmaz was in attendance) went even wilder then they had been. With the Mets already ahead 7-0 and only three outs away from the World Series, Shea was a madhouse. John Franco played peacemaker trying to calm the Shea Faithful down. They answered by singing “Na na na na, Say hey hey goodbye” & booing the Cardinals off the field. 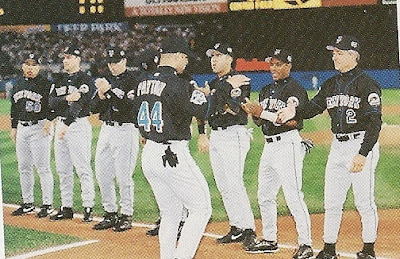 2000 World Series: In the 2000 Subway World Series Payton did well, hitting .333 (7-21). He hit safely in all five games, including having two hits in each of the last two games. In Game #1 he singled & scored a run in the Mets three run 7th inning, on Bubba Trammels two run double. In Game #2 he hit a three run HR in the 9th inning off Mariano Rivera, bringing the Mets within one run of their eventual 6-5 loss. 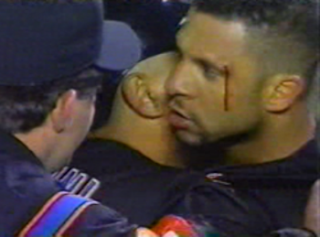 In Game #5 he singled in the second inning & then scored when Al Leiter reached on an error. After a successful rookie campaign, even more was expected from Payton the next year. 2001: It took him until April 30th to hit his first HR, as he drove in just nine runs in the month. He then battled injuries & missed over six weeks of action returning in late June. Upon his return he hit just one HR through all of July as his average fell to .246. The rest of the season was not too much more productive for him nor the Mets, who finished in third place. On the year he played in 104 games, abtting .255 with just 8 HRs 16 doubles & 34 RBIs. As the team struggled, the fans let everyone who was not producing have it, the boo birds got to Payton. In 2002 he had already matched his previous years totals after just 84 games. He was batting .284 with 8 HRs & 31 RBIs at the end of July, but the organization had given up on him. He was traded to the Colorado Rockies for John Thomson & Mark Little. He would have his best season in the thin air of Colorado in 2003 batting .302 with career highs in HRs (28) doubles (32) hits (181) & RBIs (89). The next year he signed with the San Diego Padres and found the Southern California air wasn’t as friendly to his hitting. He batted .260 with just 8 HRs & 55 RBIs in 143 games. Defensively he led all NL centerfielders with 11 assists. In 2005 he was traded to the Boston Red Sox, then the Oakland A’s mid way through the season for Chad Bradford. That season Payton led all AL centerfielders in fielding, hitting 13 HRs with 42 RBIs in just 69 games after arriving in Oakland. 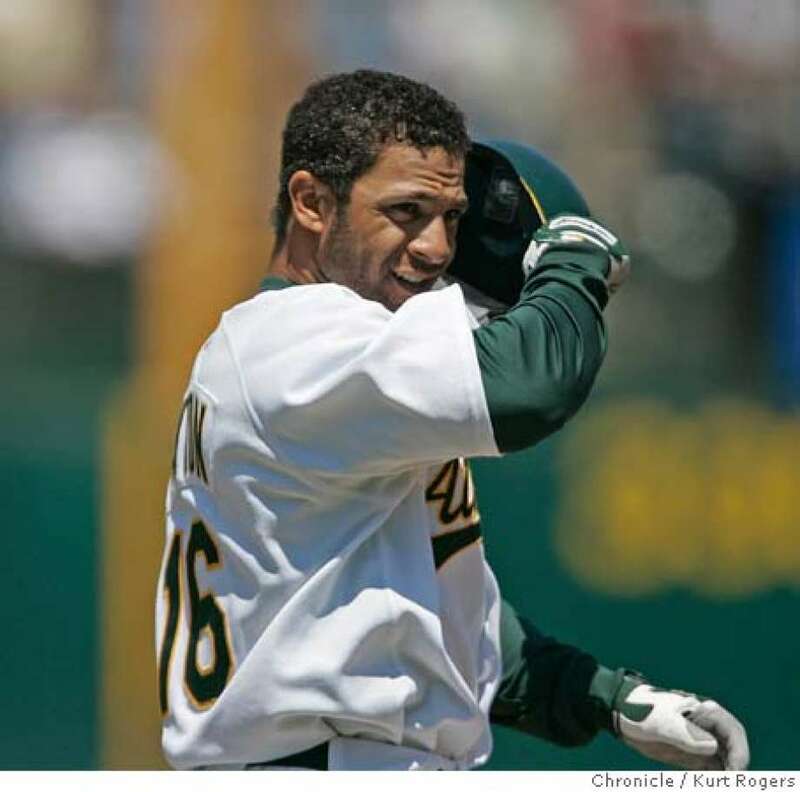 In 2006 he hit .296 with 10 HRs getting to another post season with the A’s. In the ALCS he batted .286 with a HR against the Detroit Tigers in a losing effort. Payton spent the next two seasons in Baltimore with the Orioles where his average fell to .256 in 131 games, with 7 HRs & 58 RBIs for the 2007 season. In March of 2009 he injured his shoulder while lifting weights causing him to miss the entire year. In 2010 he signed with the Rockies again, getting into just 20 games at the big league level batting .343, but was released at the end of the year. In his 12 year career, he batted .279 with 1157 hits 119 HRs 193 doubles 522 RBIs 30 triples & a .323 on base %. As an outfielder he posted a .987 fielding % in 1185 games.